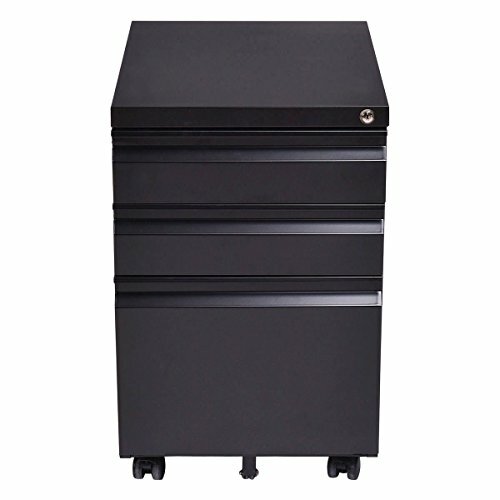 This Storage Cabinet Is Ideal For Use In Both The Home And Work Place. With 3 Drawers, This Storage Cabinet Provides You With Plenty Of Space To Store Your Important And Frequently Used Documents. And The Three Drawers Can Be Locked, So It Can Keep Your Document Safe. With Wheels, You Can Easily Move The Cabinet Between Rooms. Designed With A Super-Durable, Steel Construction And Stylish Enamel Finish, This 3 Drawer File Cabinet Can Also Enhance The Aesthetics Of A Room.